cheap eats and clothing swaps! | maya c.
cheap eats and clothing swaps! Here are two amazing cheap things I discovered in Toronto today. Cheap Eats: One of my best good friends convinced me to go to Whole Foods after work today. And you know what I discovered?! Every Thursday, between 5-7pm, Whole Foods offers 5 prepared foods for $5! I’m not sure if all of them do, but the WF in Yorkville certainly does. 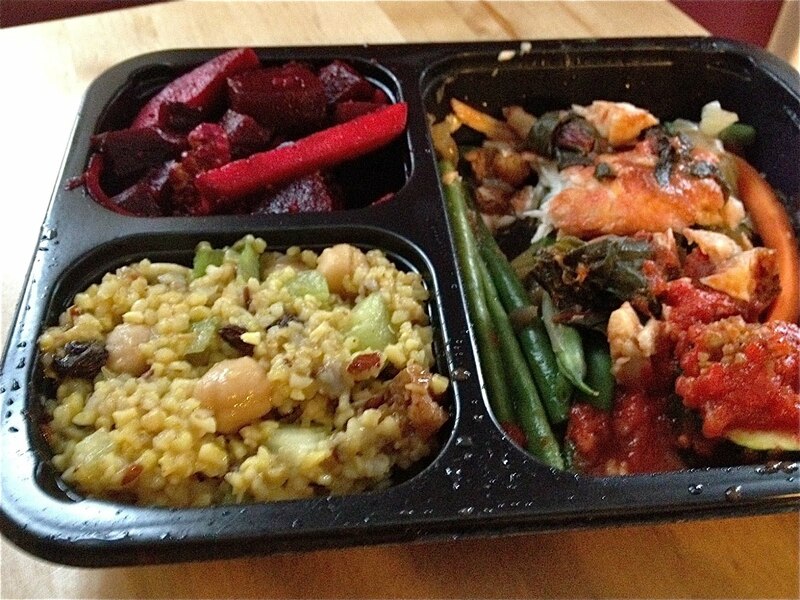 Today’s combo has some nice tilapia, beets with apples, a grain salad, some zucchini rolls, and green beans! What a perfectly healthy and cheap way to eat out (or take it home, as I did). Clothing Swaps: Now this I’m really super duper excited about. 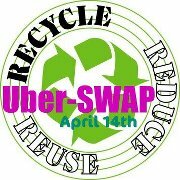 The Spring Uber-SWAP takes place on Saturday, April 14 in Leslieville. What a great way to reduce, reuse, recyle and score some cute new outfits! What are your favourite thrifty Toronto finds? Happy tumbling…. oh yes, and stumbling! Next > how active are you?